I’ve always had a tendency to overpack when going on vacation, but it’s never once occurred to me that, rather than learning how to downsize on my travel necessities, what I really needed was a lesson in how to fit them in my suitcase. Luckily, former Bond Girl and world traveler Rachel Grant has a few tips to help — and her ability to pack a suitcase deserves all the gold medals. 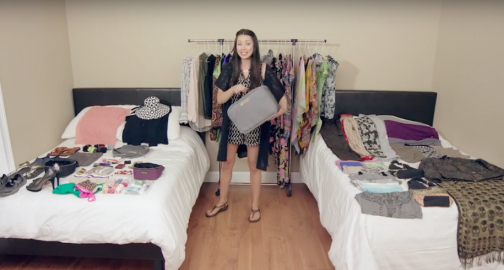 In a mesmerizing video for Biaggi Luggage, the actress packs over 100 items into a very tiny carry-on, including clothes, shoes, and toiletries. 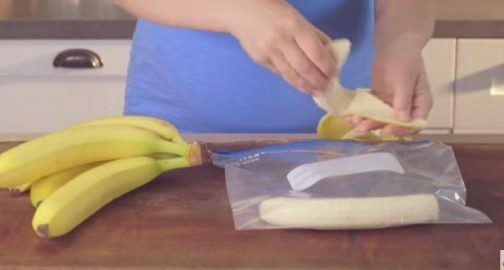 She makes the whole thing look ridiculously easy, and even offers some extra advice so that you, too, can master the art of packing “light” for your next trip.